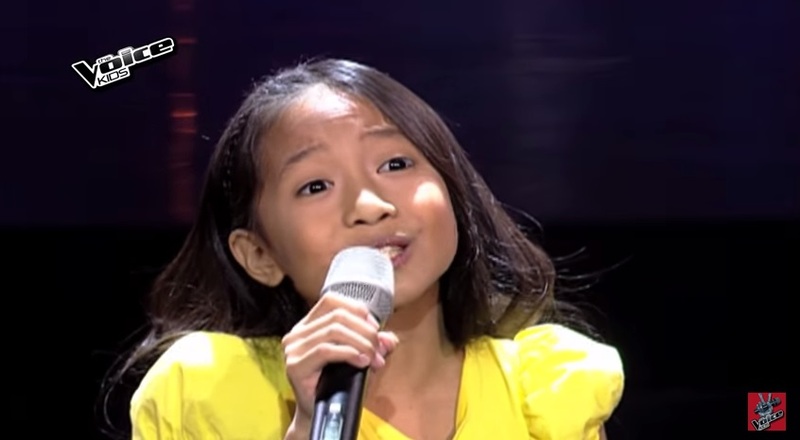 MANILA, Philippines - Farm girl from Calamba, Laguna Krystle Campos performed Basil Valdez song "Nais Ko" during the continuation episode of the blind auditions of ABS-CBN's top-rating and Twitter-trending singing reality show 'The Voice Kids' Philippines Season 2 on Saturday, June 13, 2015. The 10-year old kid impressed Coach Lea Salonga and Sarah Geronimo. To win the heart of Krystle, the coaches got gimmiks. Coach Lea showed her a huge passport. The continuation of the pilot episode of 'The Voice Kids' Season 2 dominates online conversations with '#VoiceKids2PH' among the trending topics.